Karen is a photojournalist living in Memphis, TN. My work is, most of all, authentic. My goal is to use a single, fleeting moment to tell an entire story, and I’ll always forgo a perfect picture in order to capture an honest picture. As a working mother myself, I worked for the daily newspaper here in Memphis, The Commercial Appeal, for 25 years and before that, for a newspaper in Indiana. In Indiana, I was the first female photojournalist they had ever hired. In Memphis, I was the second. 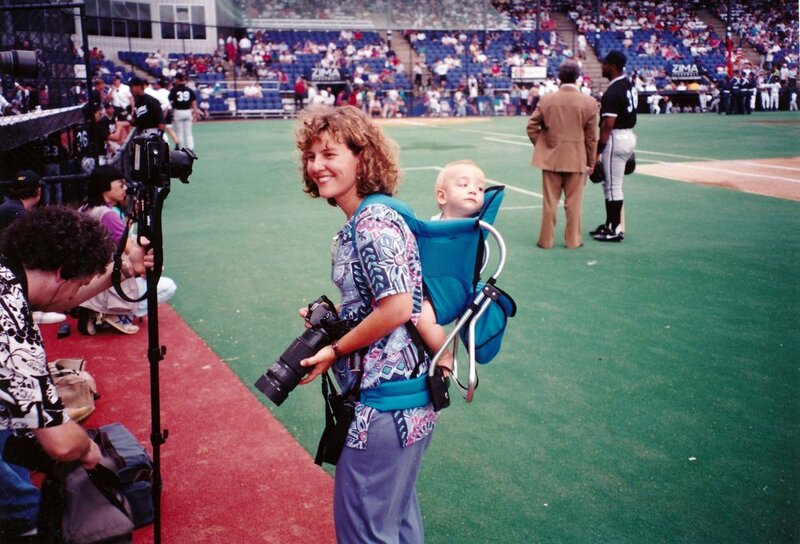 I was also the first photographer on my staff to have a baby. The challenges were numerous—finding good daycare with a rotating shift, or having to cover breaking news at the drop of a hat. I remember one Sunday I had to cover a tornado. I was one of the only staffers on duty and I was eight months pregnant. I had to choose: should I shoot from the relative safety of a helicopter, or should I get down on the ground—climbing over broken limbs and smashed cars—to get up-close shots? I chose to get down on the ground, but mostly because I was nervous about hanging out of a helicopter when I was so big. The woman I ended up shooting for Showing was my nail technician, Angelina. Shooting her was interesting. I always try to make my subjects comfortable during a shoot. A comfortable subject yields an honest photo. But Angelina and I already shared the peculiar intimacy that exists between nail technicians and their clients. We talk all the time about men, life, and faith. Deepening that intimacy beyond the transactional chit-chat of the salon was essential to the shoot. Angelina’s work was certainly physical, but on the other hand it wasn’t hard labor, either—I don't recall her mentioning that pregnancy was affecting her work. I know from experience, however, that it must have been hard to lean over so much. When I was pregnant, leaning over was the worst. It feels like you have a basketball in your lap. Watching Angelina work, I started to reflect on my own experiences balancing motherhood with work. I remember feeling like I had something to prove—some colleagues were skeptical that I could have both a family and a career. I worked twice as hard to prove them wrong.